1Not all sales at MSRP 2Not available with special finance or lease offers. Take delivery by 04-30-2019. 3Must qualify through GM Financial. Not available with special finance, lease, or some other offers. Take delivery by 04-30-2019. See dealer for details. 4Excludes L models. Monthly payment is $13.89 for every $1,000 you finance. Example down payment: 5.2%. Must finance with GM Financial. Some customers may not qualify. Not available with lease and some other offers. Take new retail delivery by 4/30/2019. See dealer for details. Finance for $337 per month at 3.99% APR for 72 months with $2,710 down payment. Payment expires on 04/30/19. Estimated Finance payment based upon 3.99% APR for 72 months, with a down payment of $2,710. Excludes title, taxes, registration, and license fees. Some customers will not qualify. See your authorized dealer for complete details on this and other offers. Residency restrictions may apply. Lease for $162/month for 39 months with $2,710 due at signing including $0 Security Deposit and 10,000 miles per year. Payment expires on 04/30/19. Estimated Lease payment based on 39 months and $2,710 due at lease signing. Cash due at signing includes $2,928 capitalization cost reduction, which includes $650 acquisition fee, plus a required security deposit of $0, and first month's lease payment of $162. Excludes title, taxes, registration, and license fees. Total monthly payments equal $9,886. Mileage charge of $0.25 per mile over 10,000 miles. Not all consumers will qualify. Residency restrictions may apply. Finance for $346 per month at 3.99% APR for 72 months with $2,768 down payment. Payment expires on 04/30/19. Estimated Finance payment based upon 3.99% APR for 72 months, with a down payment of $2,768. Excludes title, taxes, registration, and license fees. Some customers will not qualify. See your authorized dealer for complete details on this and other offers. Residency restrictions may apply. Lease for $168/month for 39 months with $2,768 due at signing including $0 Security Deposit and 10,000 miles per year. Payment expires on 04/30/19. Estimated Lease payment based on 39 months and $2,768 due at lease signing. Cash due at signing includes $2,981 capitalization cost reduction, which includes $650 acquisition fee, plus a required security deposit of $0, and first month's lease payment of $168. Excludes title, taxes, registration, and license fees. Total monthly payments equal $10,149. Mileage charge of $0.25 per mile over 10,000 miles. Not all consumers will qualify. Residency restrictions may apply. Finance for $347 per month at 3.99% APR for 72 months with $2,778 down payment. Payment expires on 04/30/19. Estimated Finance payment based upon 3.99% APR for 72 months, with a down payment of $2,778. Excludes title, taxes, registration, and license fees. Some customers will not qualify. See your authorized dealer for complete details on this and other offers. Residency restrictions may apply. Lease for $169/month for 39 months with $2,778 due at signing including $0 Security Deposit and 10,000 miles per year. Payment expires on 04/30/19. Estimated Lease payment based on 39 months and $2,778 due at lease signing. Cash due at signing includes $2,990 capitalization cost reduction, which includes $650 acquisition fee, plus a required security deposit of $0, and first month's lease payment of $169. Excludes title, taxes, registration, and license fees. Total monthly payments equal $10,194. Mileage charge of $0.25 per mile over 10,000 miles. Not all consumers will qualify. Residency restrictions may apply. Finance for $371 per month at 3.99% APR for 72 months with $2,948 down payment. Payment expires on 04/30/19. Estimated Finance payment based upon 3.99% APR for 72 months, with a down payment of $2,948. Excludes title, taxes, registration, and license fees. Some customers will not qualify. See your authorized dealer for complete details on this and other offers. Residency restrictions may apply. Lease for $181/month for 39 months with $2,948 due at signing including $0 Security Deposit and 10,000 miles per year. Payment expires on 04/30/19. Estimated Lease payment based on 39 months and $2,948 due at lease signing. Cash due at signing includes $3,568 capitalization cost reduction, which includes $650 acquisition fee, plus a required security deposit of $0, and first month's lease payment of $181. Excludes title, taxes, registration, and license fees. Total monthly payments equal $11,239. Mileage charge of $0.25 per mile over 10,000 miles. Not all consumers will qualify. Residency restrictions may apply. Finance for $377 per month at 3.99% APR for 72 months with $2,988 down payment. Payment expires on 04/30/19. Estimated Finance payment based upon 3.99% APR for 72 months, with a down payment of $2,988. Excludes title, taxes, registration, and license fees. Some customers will not qualify. See your authorized dealer for complete details on this and other offers. Residency restrictions may apply. Lease for $184/month for 39 months with $2,988 due at signing including $0 Security Deposit and 10,000 miles per year. Payment expires on 04/30/19. Estimated Lease payment based on 39 months and $2,988 due at lease signing. Cash due at signing includes $3,604 capitalization cost reduction, which includes $650 acquisition fee, plus a required security deposit of $0, and first month's lease payment of $184. Excludes title, taxes, registration, and license fees. Total monthly payments equal $11,420. Mileage charge of $0.25 per mile over 10,000 miles. Not all consumers will qualify. Residency restrictions may apply. Finance for $406 per month at 3.99% APR for 72 months with $3,199 down payment. Payment expires on 04/30/19. Estimated Finance payment based upon 3.99% APR for 72 months, with a down payment of $3,199. Excludes title, taxes, registration, and license fees. Some customers will not qualify. See your authorized dealer for complete details on this and other offers. Residency restrictions may apply. Lease for $204/month for 39 months with $3,199 due at signing including $0 Security Deposit and 10,000 miles per year. Payment expires on 04/30/19. Estimated Lease payment based on 39 months and $3,199 due at lease signing. Cash due at signing includes $3,485 capitalization cost reduction, which includes $650 acquisition fee, plus a required security deposit of $0, and first month's lease payment of $204. Excludes title, taxes, registration, and license fees. Total monthly payments equal $12,083. Mileage charge of $0.25 per mile over 10,000 miles. Not all consumers will qualify. Residency restrictions may apply. Finance for $415 per month at 3.99% APR for 72 months with $3,263 down payment. Payment expires on 04/30/19. Estimated Finance payment based upon 3.99% APR for 72 months, with a down payment of $3,263. Excludes title, taxes, registration, and license fees. Some customers will not qualify. See your authorized dealer for complete details on this and other offers. Residency restrictions may apply. Lease for $210/month for 39 months with $3,263 due at signing including $0 Security Deposit and 10,000 miles per year. Payment expires on 04/30/19. Estimated Lease payment based on 39 months and $3,263 due at lease signing. Cash due at signing includes $3,544 capitalization cost reduction, which includes $650 acquisition fee, plus a required security deposit of $0, and first month's lease payment of $210. Excludes title, taxes, registration, and license fees. Total monthly payments equal $12,373. Mileage charge of $0.25 per mile over 10,000 miles. Not all consumers will qualify. Residency restrictions may apply. Finance for $420 per month at 3.99% APR for 72 months with $3,298 down payment. Payment expires on 04/30/19. Estimated Finance payment based upon 3.99% APR for 72 months, with a down payment of $3,298. Excludes title, taxes, registration, and license fees. Some customers will not qualify. See your authorized dealer for complete details on this and other offers. Residency restrictions may apply. Lease for $213/month for 39 months with $3,298 due at signing including $0 Security Deposit and 10,000 miles per year. Payment expires on 04/30/19. Estimated Lease payment based on 39 months and $3,298 due at lease signing. Cash due at signing includes $3,576 capitalization cost reduction, which includes $650 acquisition fee, plus a required security deposit of $0, and first month's lease payment of $213. Excludes title, taxes, registration, and license fees. Total monthly payments equal $12,530. Mileage charge of $0.25 per mile over 10,000 miles. Not all consumers will qualify. Residency restrictions may apply. Finance for $483 per month at 3.99% APR for 72 months with $3,739 down payment. Payment expires on 04/30/19. Estimated Finance payment based upon 3.99% APR for 72 months, with a down payment of $3,739. Excludes title, taxes, registration, and license fees. Some customers will not qualify. See your authorized dealer for complete details on this and other offers. Residency restrictions may apply. Lease for $245/month for 39 months with $3,739 due at signing including $0 Security Deposit and 10,000 miles per year. Payment expires on 04/30/19. Estimated Lease payment based on 39 months and $3,739 due at lease signing. Cash due at signing includes $4,664 capitalization cost reduction, which includes $650 acquisition fee, plus a required security deposit of $0, and first month's lease payment of $245. Excludes title, taxes, registration, and license fees. Total monthly payments equal $14,864. Mileage charge of $0.25 per mile over 10,000 miles. Not all consumers will qualify. Residency restrictions may apply. Finance for $508 per month at 3.99% APR for 72 months with $3,916 down payment. Payment expires on 04/30/19. Estimated Finance payment based upon 3.99% APR for 72 months, with a down payment of $3,916. Excludes title, taxes, registration, and license fees. Some customers will not qualify. See your authorized dealer for complete details on this and other offers. Residency restrictions may apply. Lease for $262/month for 39 months with $3,916 due at signing including $0 Security Deposit and 10,000 miles per year. Payment expires on 04/30/19. Estimated Lease payment based on 39 months and $3,916 due at lease signing. Cash due at signing includes $6,330 capitalization cost reduction, which includes $650 acquisition fee, plus a required security deposit of $0, and first month's lease payment of $262. Excludes title, taxes, registration, and license fees. Total monthly payments equal $17,184. Mileage charge of $0.25 per mile over 10,000 miles. Not all consumers will qualify. Residency restrictions may apply. Explore the new Chevrolet Equinox at our dealership, All American Chevrolet of Killeen, near Fort Hood and Temple. With its attractive exterior, this vehicle can make heads turn wherever it goes. Prepare to be awe-struck by the huge inventory of the all-new Chevrolet Equinox offered at All American Chevrolet of Killeen. Along with its roomy interior wherein the seats come with a 60/40 split-folding design, loading and unloading cargo is actually a lot easier. You'll be rest assured for the reason that this Equinox comes with six standard airbags along with high strength steel safety cage to shield you from any type of risky event on the road. This vehicle has state-of-the-art connectivity technology; its built-in 4G LTE Wi-Fi® has the ability to connect as many as seven devices which keeps you connected to the modern world. 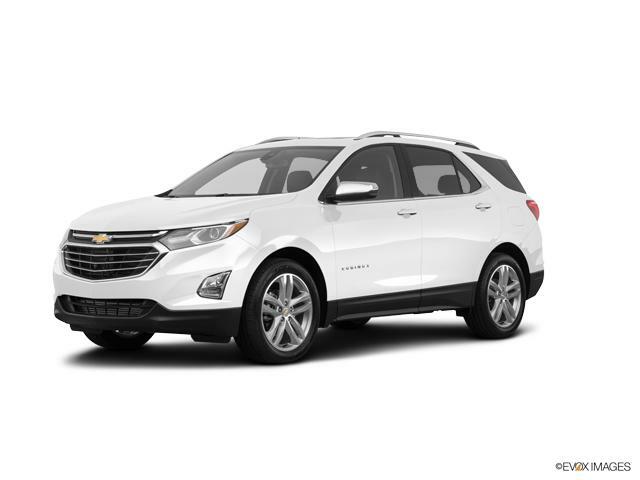 See above for more details, or contact us at 254-247-3557, to learn more about buying or leasing a new Chevrolet Equinox in Killeen.